This Articulate Quizmaker template is designed as a simple click-through course with useful tips or linear content. The character acts as an avatar and provides different elements of content on every screen. This template includes the Kevin character above in several poses, as well as several office background images. 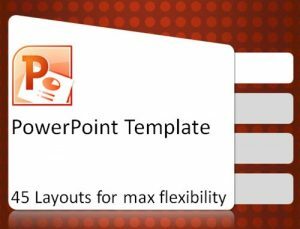 The template format is completely flexible in that the characters, backgrounds, and text are all inserted as separate assets within Quizmaker. To quickly create a course, just modify the text boxes. Or, if you require more customization, you can change background images or characters. Either way, this is a visually interesting way to present information to your learners.